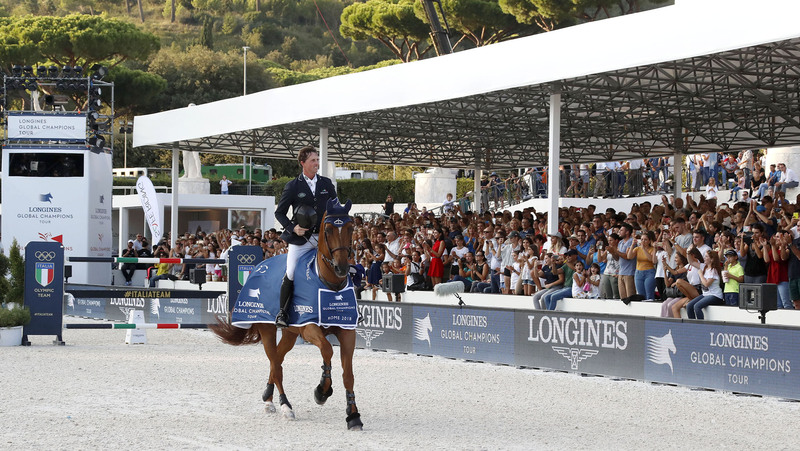 The Olympic gold medallist Ben and Poden Farms’ extraordinary Expolsion W have dominated the individual championship this year and not only won the Longines Global Champions Tour Grand Prix of Rome today, but took the overall Championship title. It was a sumptuous feast of top show jumping with spectators fanning themselves in the heat as they watched an afternoon of sporting joy and heartbreak unfold. Jos Verlooy and Caracas came close going clear in 38.32 and the stage was set for Ben and Explosion to finish the job. Despite the intense pressure the British rider appeared cool and calm as he piloted the nine-year-old Explosion to a breathtaking clear round taking the season title. Jos Verlooy, 3rd place: “You have to stay patient. And if you ride good the results will come, so I’m pleased with today. In the beginning of the week we looked at the riders list, and counting how many had qualified for [the LGCT Super Grand Prix] so my goal was to qualify for Prague. I just missed out, but I can still be proud to be third next to these two riders!"